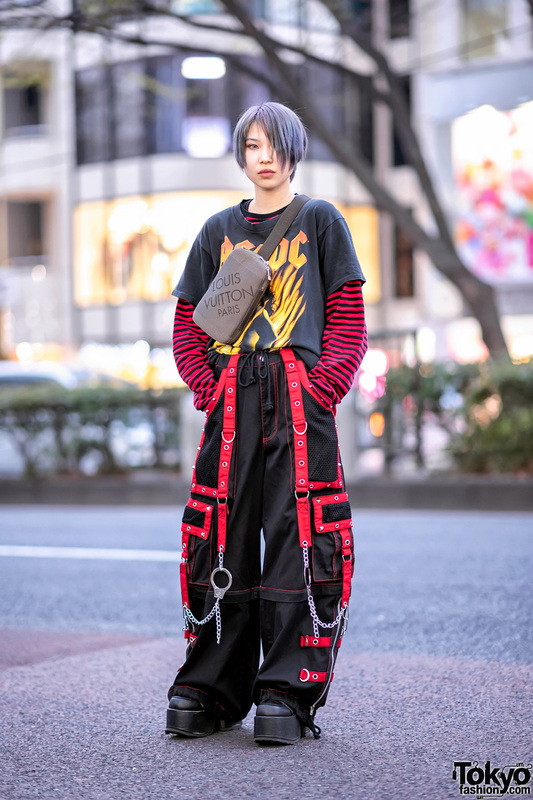 Kanji is a 17-year-old Japanese high school student with a love of handmade avantgarde fashion who has become a regular on the streets of Harajuku over the last six months or so. 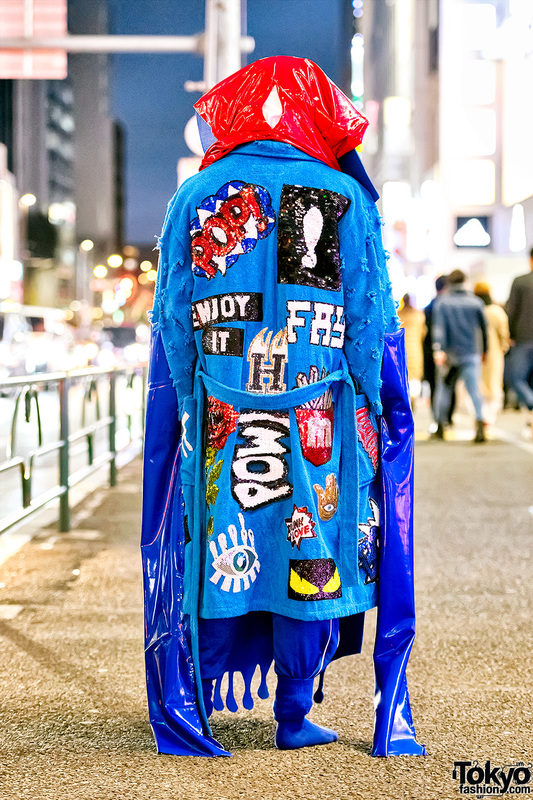 His extremely original look here features a distressed sequin maxi robe (or coat) originally by Saint Laurent which has been extensively hand remade by the famous Dog Harajuku boutique, a headpiece handmade out of what looks like boxing shorts, and various other remake and handmade items. 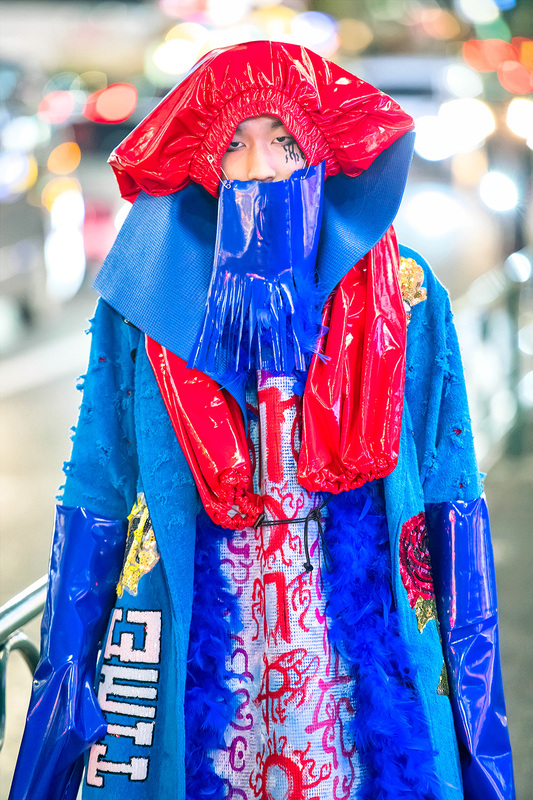 His favorite brands include Dolls Kill and Iris Van Herpen. 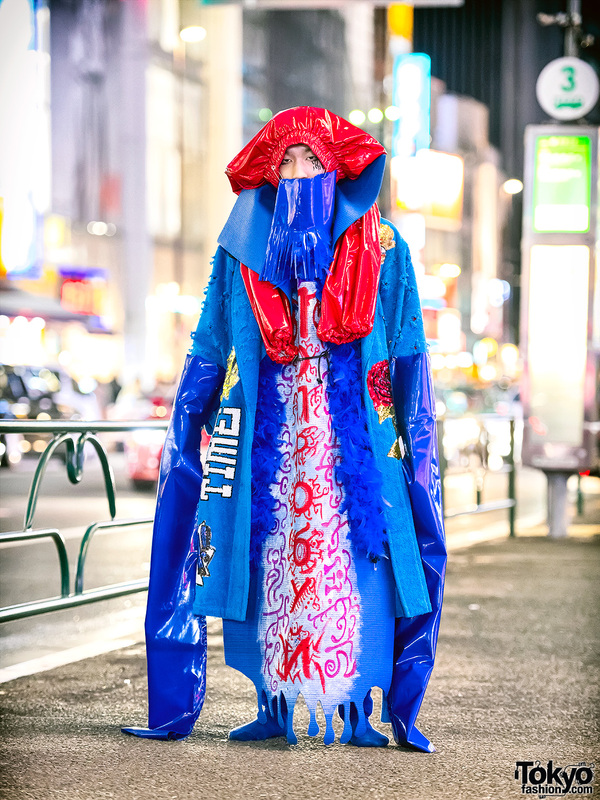 He listens to the music of Ms.Ooja, and Bump of Chicken. 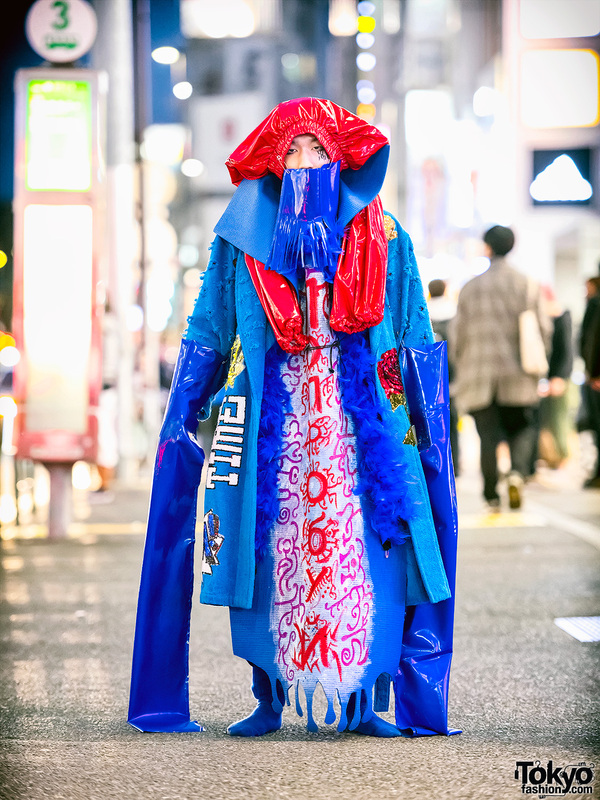 Follow Kanji on Instagram and Twitter for more avant-garde handmade Harajuku street fashion.